This program has been approved by New Mexico MCLE for 1.0 General hours of credit. There will NOT be a post-lecture reception. Everyone is welcome to attend the pre-lecture refreshments beginning at 4:45PM in advance of the lecture start at 5:30 PM. Parking at the event is FREE in the Law School "L" parking lot starting at 4:00 p.m., on the surrounding streets, and the adjacent M lot. This lecture/symposium series has been established to celebrate and keep alive the extraordinary legacy of Dennis Chavez, one of New Mexico’s most influential U.S. senators during the mid-20th century. Sen. Chavez was a remarkable New Mexican, a populist from the South Valley who served a noteworthy and significant term in the U.S. Senate from 1935 until his death in 1962. He is remembered as a pivotal and early advocate of civil rights legislation. "Half a century after his death, Dennis Chavez's life and legacy are a powerful reminder that the struggle for civil rights and social justice and against discrimination is always with us. And that no matter how unpopular, we must always have the courage to raise our voices to speak to truth and stand up for the rights of others." Facebook is embroiled in another vast privacy scandal. The company revealed on Tuesday that it had allowed Huawei and three other Chinese companies, in addition to Apple, Samsung and dozens of other device makers, access to data on Facebook users, their friends and their friends’ friends. Alvaro Bedoya is the founding director of the Center on Privacy & Technology at Georgetown Law, where he is also a Visiting Professor of Law and Director of the Federal Legislation Clinic. Prof. Bedoya is an expert on government surveillance and commercial data collection, with a focus on their impact on immigrants and people of color. In 2016, he co-authored The Perpetual Line-Up: Unregulated Police Face Recognition in America, the Center's year-long investigation that revealed that most American adults are enrolled in a police face recognition database, and that those systems likely suffer from race and gender bias. He has testified before Congress and state legislatures, and his writing has appeared in The New York Times, The Washington Post, The Atlantic and Slate. Before founding the Center, Prof. Bedoya served as Chief Counsel to the U.S. Senate Judiciary Subcommittee on Privacy, Technology and the Law, where he negotiated legislation and conducted oversight on mobile location privacy, biometrics, and NSA transparency. In 2009, he co-founded the Esperanza Education Fund, a college scholarship for immigrant students that is blind to applicants' legal status. 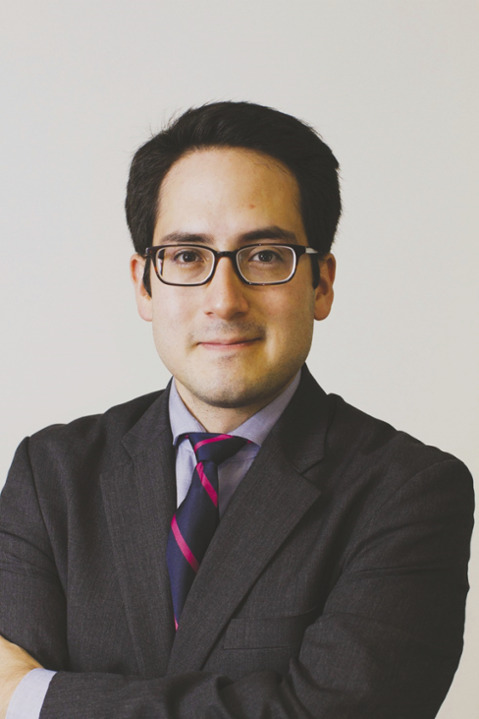 He currently serves on the Board of Directors of Free Press and previously served on the board of the Hispanic Bar Association of Washington, D.C.
A naturalized citizen born in Lima, Peru and raised in upstate New York, Prof. Bedoya is a graduate of Harvard College and Yale Law School, where he received the Paul & Daisy Soros Fellowship for New Americans. He lives in Washington, D.C. with his wife, Sima Zadeh Bedoya, a pediatric psychologist at the National Institutes of Health's National Cancer Institute, and their daughter. In Fall 2009, the Dennis Chavez Foundation and its representatives, Gloria C. Tristani, Jorge E. Tristani, Jr., and Gloria M. Tristani (`90), established an endowment for a lectureship/symposium on Law and Civil Rights, designed to promote awareness and academic discourse of U.S. Senator Dennis Chavez and topics related to his legacy and life's work. A gift of $100,000 created the opportunity to invite preeminent scholars to deliver an annual public lecture on Law and Civil Rights, the life work of Senator Dennis Chavez or related topics of human rights, equal opportunity, Hispanics and New Mexico in government, law and politics and their impact on human welfare. Dennis Chavez grew up the Barelas neighborhood of Albuquerque in a Spanish-speaking household in the late 1800s. It was during those early years that he developed an internal foundation that would drive him and guide him for the rest of his life. The second oldest of eight children, Chavez left school at 13 to help support the family. During his six-day-a-week job delivering groceries for Highland Grocery Store, he witnessed disturbing inequities in class and race. His time off was spent at the public library immersing himself in U.S. history. Before he could vote, Chavez became involved with the Democratic Party. His exceptional ability to communicate with the state's Spanish-speaking voters so impressed A.A. Jones during his 1916 U.S. senatorial campaign that Sen. Jones invited Chavez to join his Washington, D.C. staff. Determined to become a lawyer, Chavez took evening law classes at Georgetown Law School and earned his law degree in 1920, spending his days on Capitol Hill. Chavez returned to Albuquerque to set up a law practice, but his future was in the political arena. After one term in the New Mexico Legislature, he served two terms in the U.S. House of Representatives. In 1935, he became the only Hispanic in the U.S. Senate, where he served until his death in 1962, establishing himself as an advocate of civil and human rights. Chavez also was concerned with the development of resources in the West. He actively supported measures such as water and soil conservation programs and rural electrification. He introduced many bills to protect Indian lands, citizenship, voting rights and self determination. Chavez conferred with every president from Hoover to Kennedy, and ultimately became one of the most powerful members of Congress, but when he returned home to New Mexico, he always delighted in the opportunity to visit with his constituents. And he never forgot his humble roots.